I have looked for the internet and did not find any joomla component for virtuemart aliexpress affiliate service and have decided to develop completely new component for Joomla/ virtuemart component that virtuemart community can enjoy using this component. Aliexpress Affiliates component for Virtuemart is used to import products from Aliexpress Into your Joomla/virtuemart ecommerce site. The Component can create the site with specific aliexpress products. You can easily import products from Aliexpress. Once uploading process is completed, uploaded items will appear in your Virtuemart Products section admin panel . The component uses the Aliexpress official providers APIs. You need to setup API Keys to work with platforms, or you can use our prepared key that initially set in the Setting. You can looking for specific product using ProductId field. 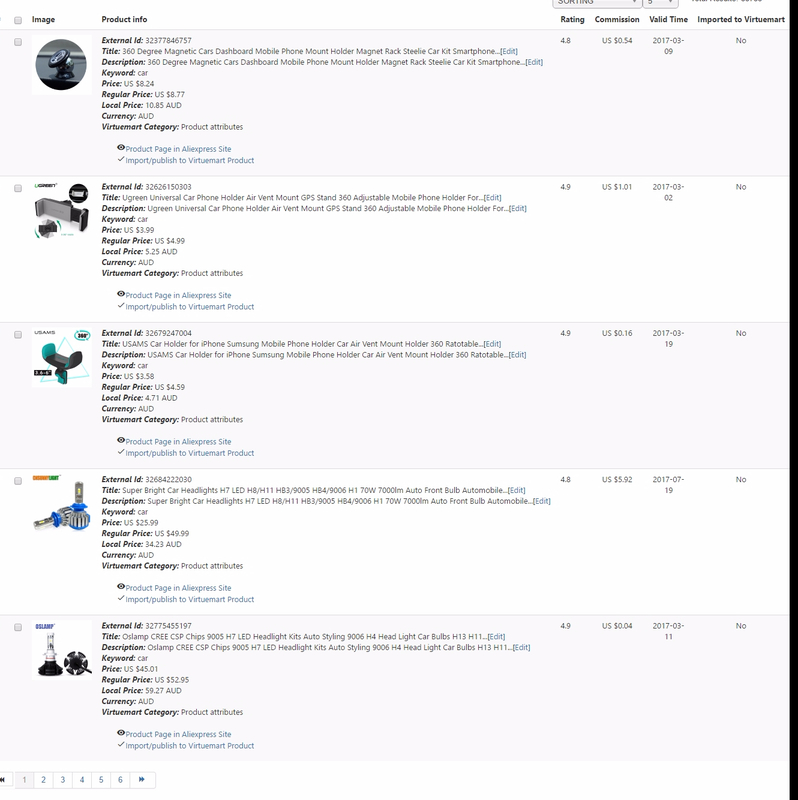 Also there are several search filters for Aliexpress: keywords, category, price range, total orders (last 30 days), feedback score, high quality items.